Stephen King fans waiting anxiously to see the mini-series based on King’s 2009 novel, Under the Dome, had best expect riffs on the original. 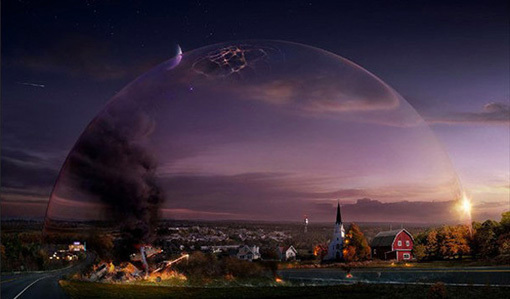 Under the Dome looks at life in a small American town that becomes inexplicably sealed off from the rest of the world by a giant, transparent dome. The series will premiere June 24th and stars Mike Vogel (Pan Am, Clovefield), Dean Norris (Breaking Bad), and Rachelle Lefevre (A Gifted Man).